Sometimes it’s fun to rediscover your past, and sometimes it’s heartbreaking. I’m not moving until next month, but I started packing months ago. It was a brilliant move that sadly left me without certain comforts. One such comfort has been my library. I packed all my books – except the sewing ones – into storage, where they’ve been all summer. As a city girl, taking public transportation requires certain tools. Headphones to block out unwanted conversation, sunglasses to avoid eye contact, and a book to keep me busy during the journey. (It sounds so unfriendly written down, geesh!) Anyway, without my library I’ve been scrambling. On the train last night, I decided to ‘read’ one of my earliest sketchbooks. It started in 2001, when I was still in college. Now, designing clothes has long been a dream of mine, but I didn’t realize how long until I cracked this baby open. Apparently, I’ve had this dream since even before I bought my first sewing machine in 2006. And I wasn’t inspired by the nearly 100 pounds I gained from 1999-2002 — designing clothes is simply something I wanted to do. Discovering this made me really sad, to be completely honest. I was sad that I had the business ideas, the designs, the understanding of fabric (! 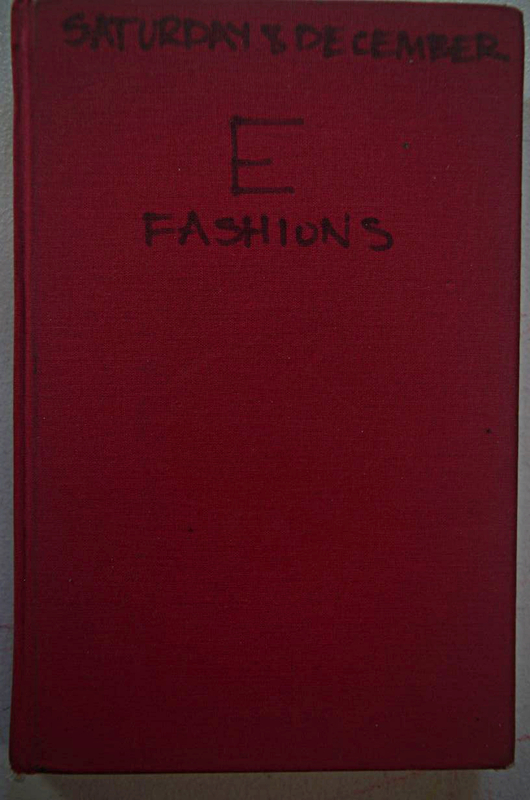 ), the knack for color, the awareness of body shape and fit, and the mathematical and technical foundation for patternmaking way back then, and did nothing with it. Fifteen years later, am I any closer to starting my clothing line? Sad to say, no. This year, I committed to being a better sewing blogger and more strongly body positive, even though my heart beat most strongly to start a clothing line. I’m proud of the blog improvements I’ve made, both in the visual and writing quality areas, but I’m sad and disappointed that I’ve let my own dream languish for a decade and a half. Will I stop writing Making the Flame? NO. But if you see something called Raaw Atalanta pop up on here, don’t be alarmed. It’s just my dream finally getting it’s time in the sun. 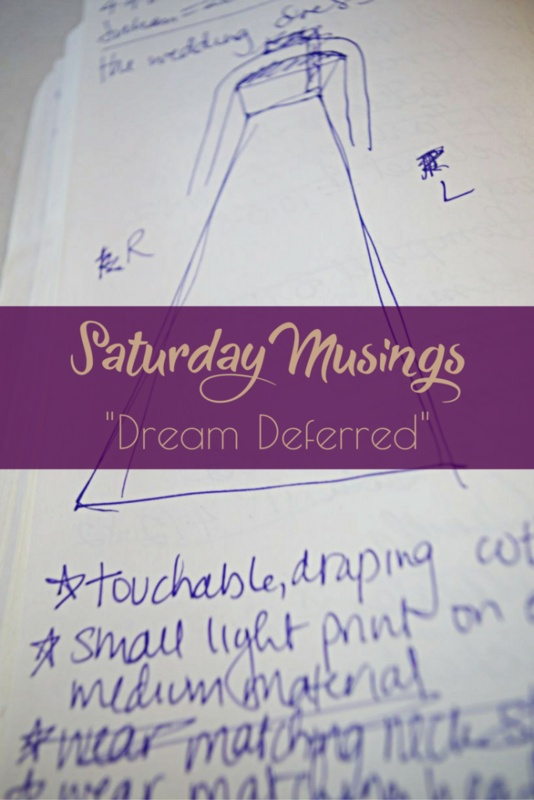 I’d love to hear about your deferred dreams. Do you think you’ll get back to them? Do you still want to achieve them? 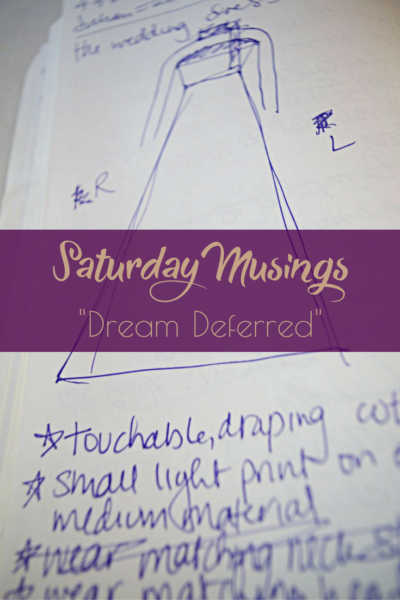 Saturday Musings: Copy, Hack, or Inspire? Ebi, this was such a great post! I truly got overly excited when you mention going for your dreams and starting a clothing line. In so many instances, we can at times lose sight of our dreams, for one reason or another. I know you will go for it all, and I can’t wait to see your vision come to reality. Ebi, this post touched a nerve. I only recently starting following your blog and get excited when I see a new post in my Feedly. From the vantage point of being almost 60 years old now, I say to your 30-ish year old self, do whatever the f*&k it takes to stop deferring that dream. 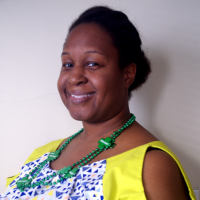 I have had so many moments similar to what you describe – both with regards to sewing and fashion and writing. And here I am, with a really good job that pays me a very nice salary and the handcuffs are golden and almost completely frozen. Like you, I am working my way out of this and realize that retirement needs to come sooner rather than later. Don’t wait. Take every chance. Be brave. Rebecca, thank you so much for your encouragement!!! Your words are very much appreciated. ‘Be brave.’ –> I really like this. Thank you!